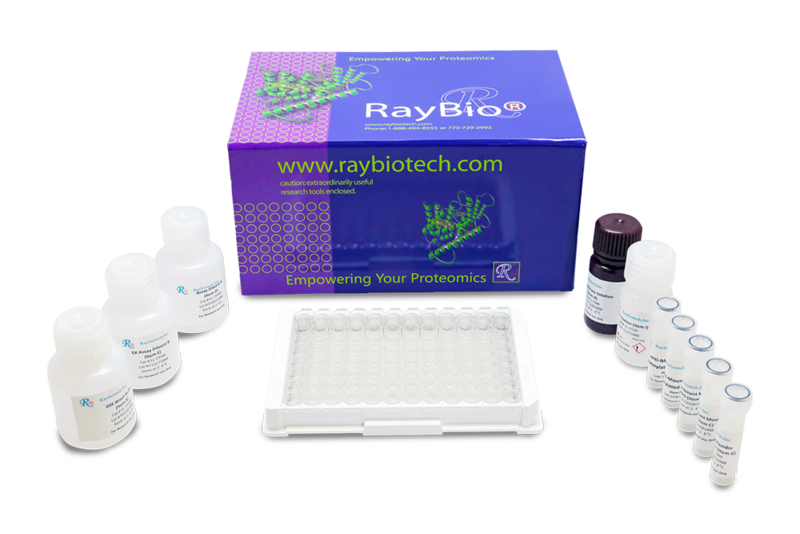 RayBio® Human BDNF ELISA Kit for cell culture supernatants, plasma, and serum samples. This ELISA kit shows no cross-reactivity with any of the cytokines tested: Human Angiogenin, BLC, ENA-78, FGF-4, IL-1 alpha, IL-1 beta, IL-2, IL-3, IL-4, IL-5, IL-7, IL-8, IL-9, IL-10, IL-11, IL-12 p70, IL-12 p40, IL-13, IL-15, I-309, IP-10, G-CSF, GM-CSF, IFN- gamma, Leptin, MCP-1, MCP-2, MCP-3, MDC, MIP-1 alpha, MIP-1 beta, MIP-1delta, PARC, PDGF, RANTES, SCF, TARC, TGF- beta, TIMP-1, TIMP-2, TNF- alpha, TNF- beta, TPO, VEGF. Failla M., Conley Y., Wagner A. Brain-Derived Neurotrophic Factor (BDNF) in Traumatic Brain Injury-Related Mortality: Interrelationships Between Genetics and Acute Systemic and Central Nervous System BDNF Profiles. Neurorehabil Neural Repair. 2016 Jan;30(1):83-93. doi: 10.1177/1545968315586465. Eleftheriou D., Ganesan V., Hong Y., et al. Endothelial Repair in Childhood Arterial Ischaemic Stroke with Cerebral Arteriopathy. Cerebrovasc Dis Extra. 2015 Jun 11;5(2):68-74. doi: 10.1159/000381963. Schendzielorz P., Rak K., Nguyen J., et al. Human adipose-derived stem cells enhance the survival and neuritogenesis of auditory neurons. Neuroreport. 2015 Sep 9;26(13):797-801. doi: 10.1097/WNR.0000000000000427. Faroni A., Smith R., Lu L., et al. Human Schwann-like cells derived from adipose-derived mesenchymal stem cells rapidly de-differentiate in the absence of stimulating medium. Eur J Neurosci. 2016 Feb;43(3):417-30. doi: 10.1111/ejn.13055. Alkhatib B., et al. ACUTE MECHANICAL INJURY OF THE HUMAN INTERVERTEBRAL DISC: LINK TO DEGENERATION AND PAIN. European Cells and Materials, 2014 (28) 98-111. The BDNF ELISA kit was very easy to work with. I had no problems understanding the directions and following them. I used the kit once it arrived and received great results.